Exactly what I wanted at a great price. CT Shirts are the best !! Shirt was not as expected and has a sheen to it in the light, rather than just being a darker blue than the sky blue. 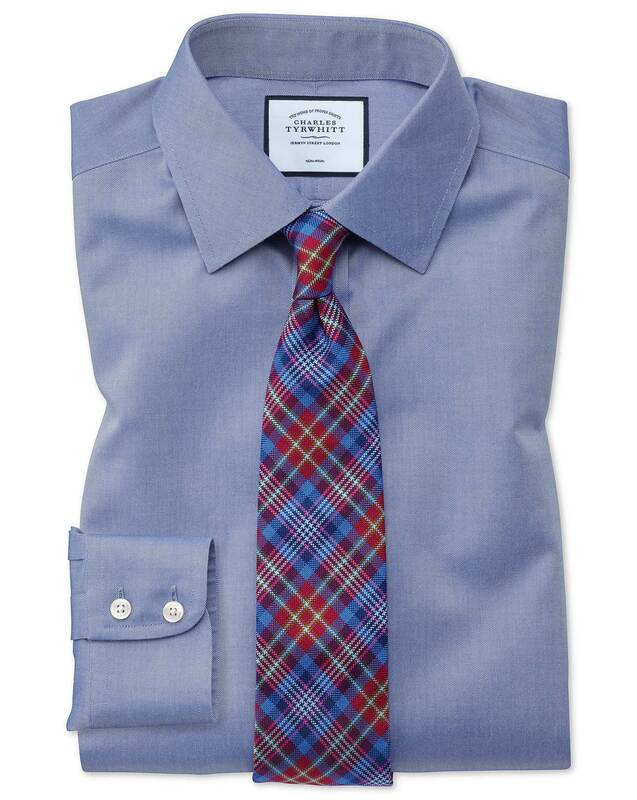 Response from Charles Tyrwhitt: It's a real shame this lovely mid-blue shirt wasn't quite the ideal colour or finish for you, but thank you for sharing your feedback with us. We are always keen to know which of our shirts are perhaps not quite ideal, and review these at the end of every season. While I hope the shirt will grow on you over time, you are welcome to return it to us under our no quibble 6-month guarantee should you really not enjoy it.